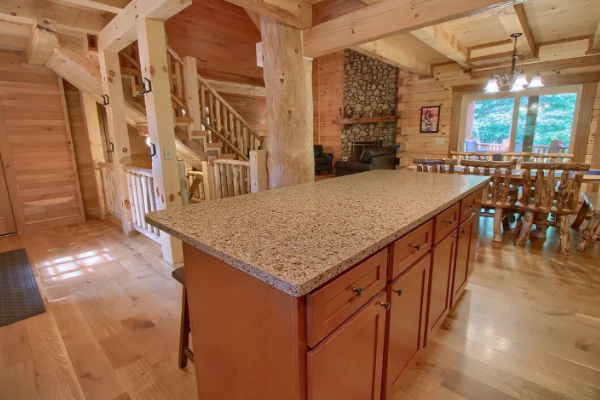 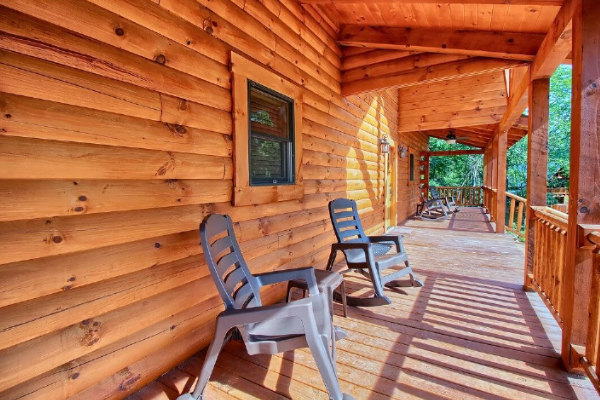 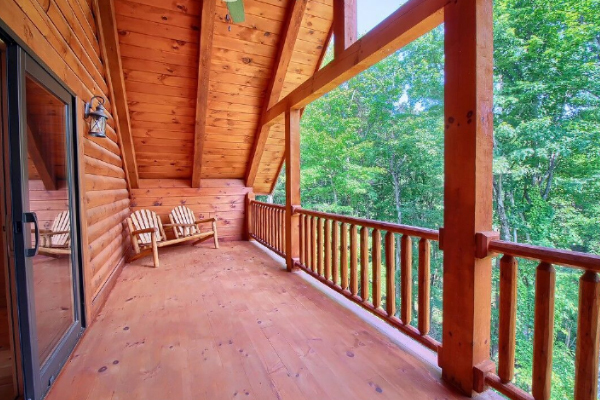 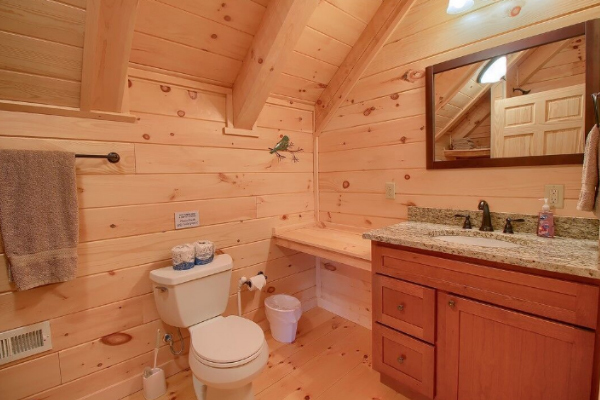 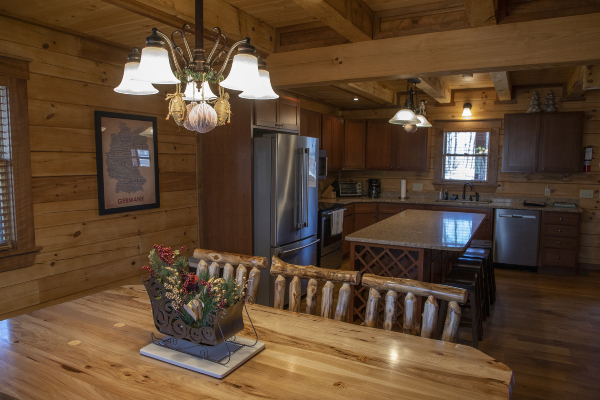 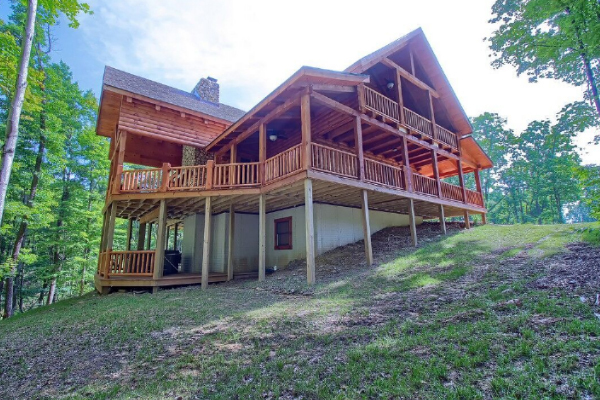 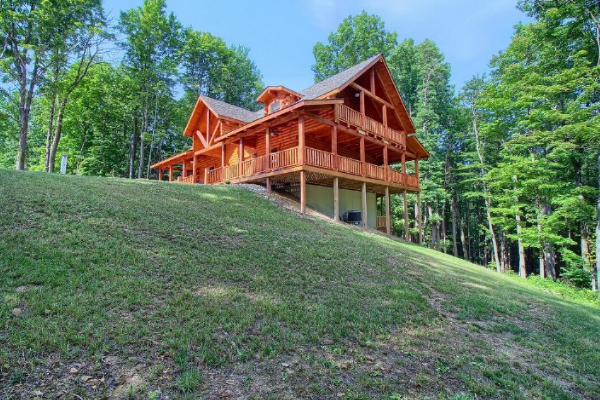 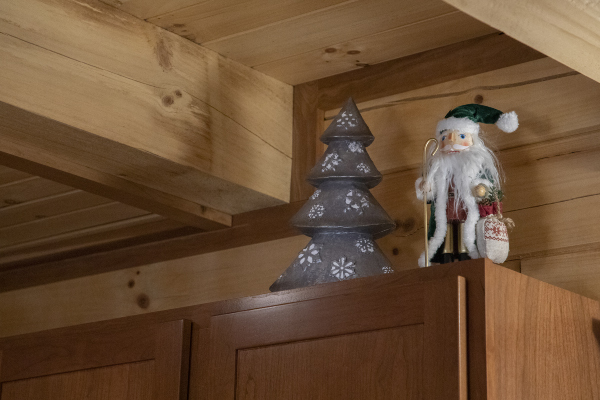 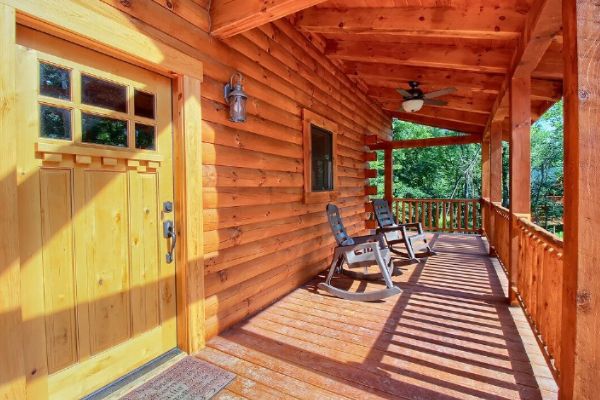 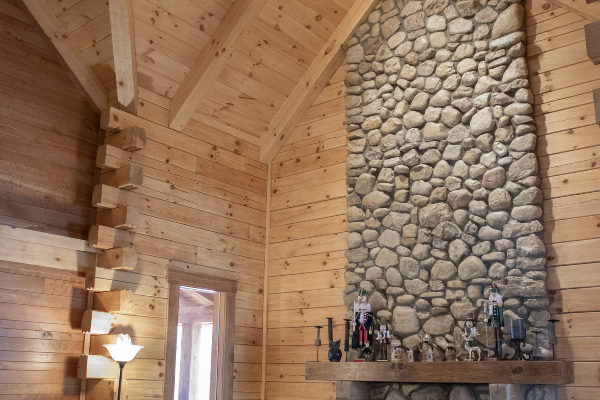 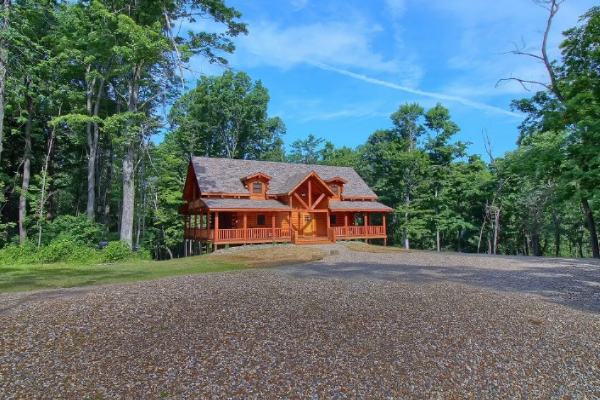 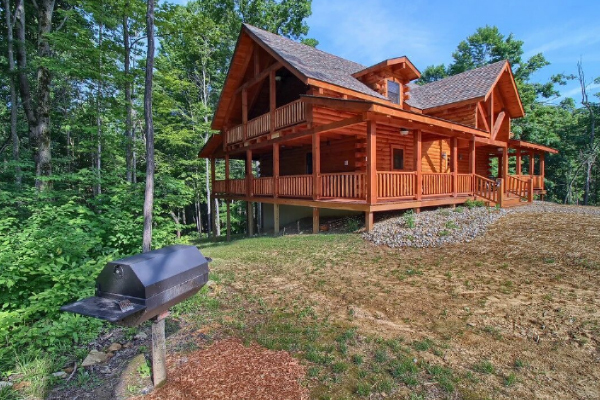 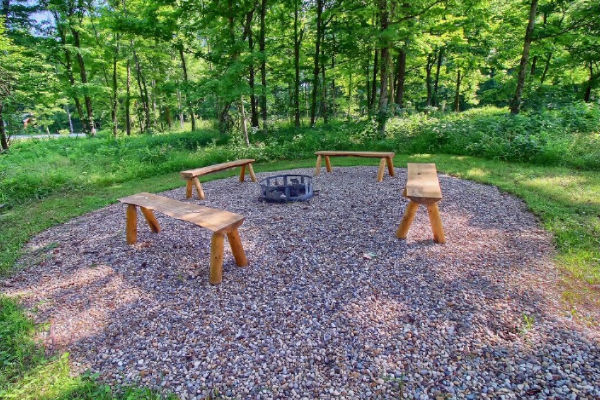 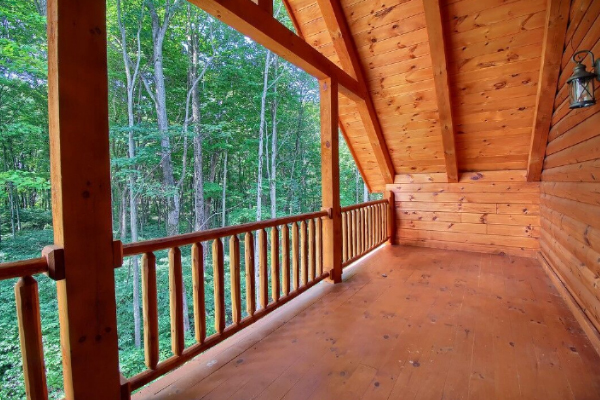 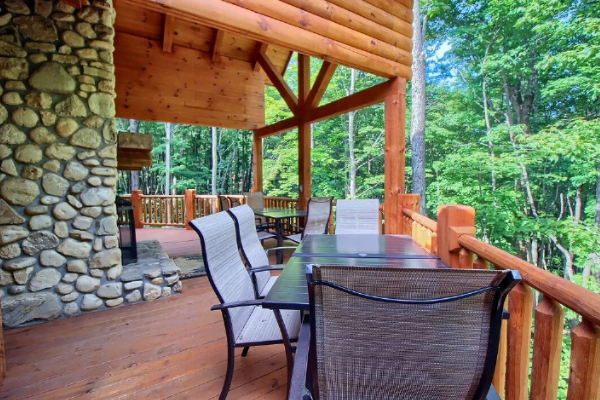 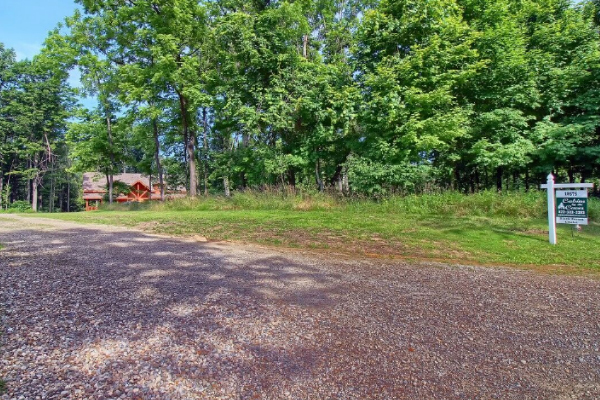 Beautiful new lodge only 6 miles from Old Man's Cave and the Hocking Hills State Forest and bridle trail just outside your door. 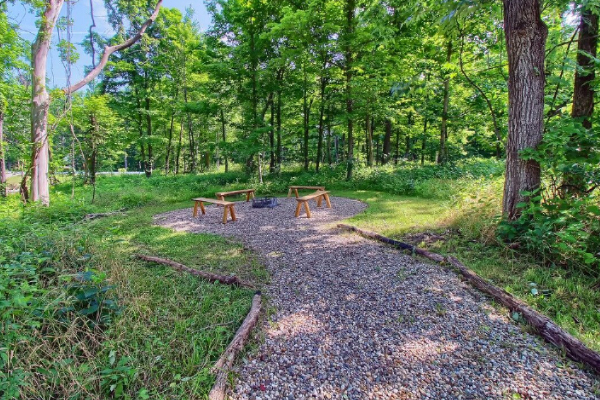 Great location, less than 3 miles to Rock House and Conkle's Hollow nature preserve. 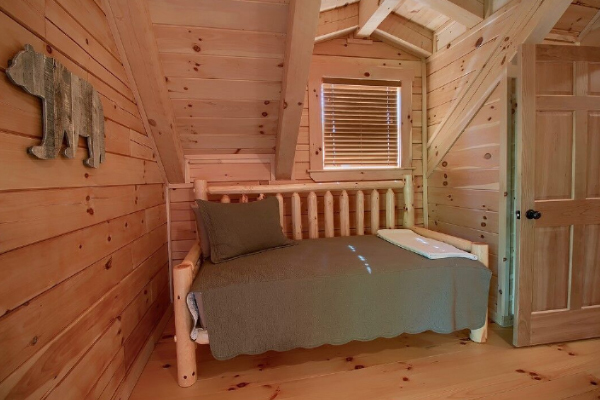 Sleeps up to 12 comfortably with 3,100 square feet of living space. 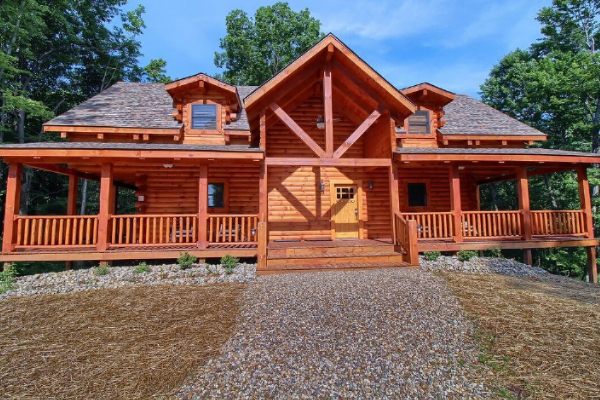 4 private bedrooms and 4.5 baths. 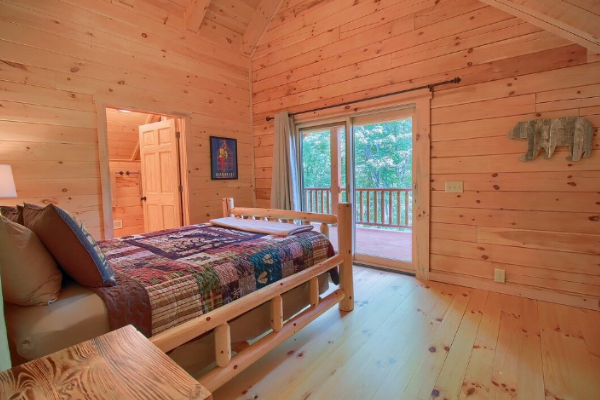 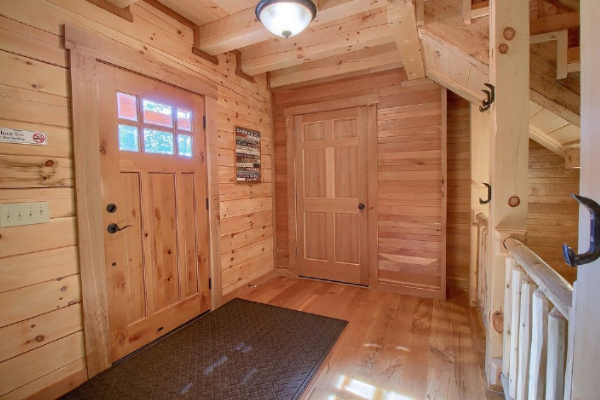 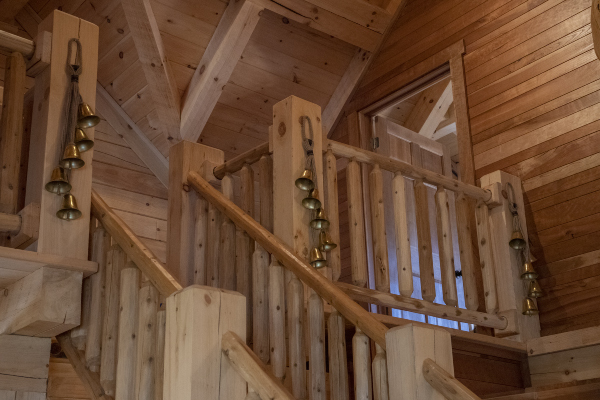 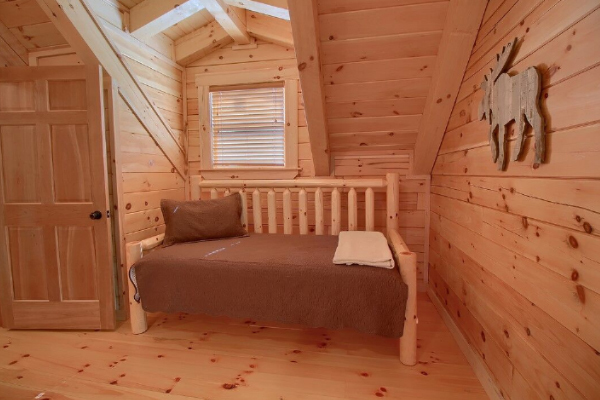 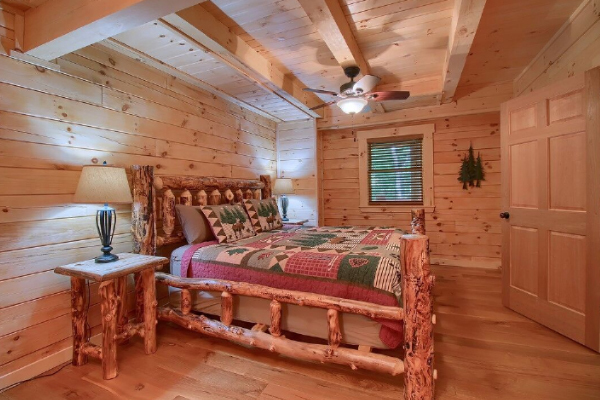 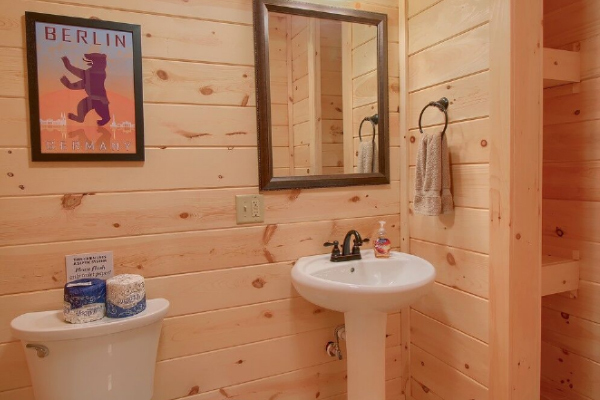 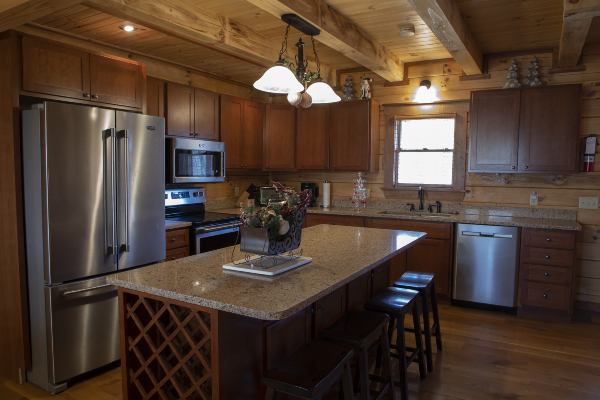 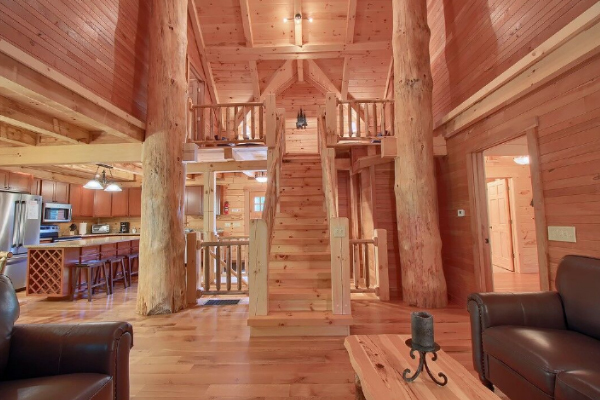 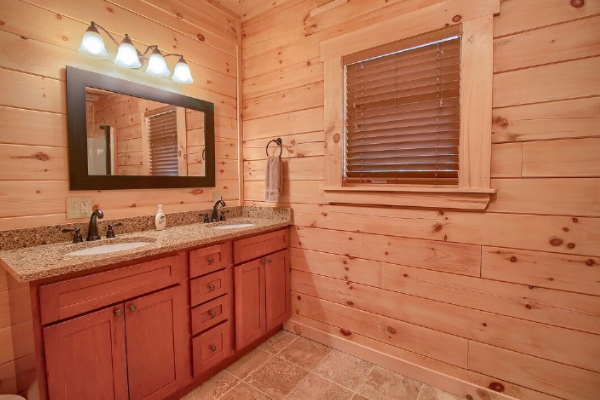 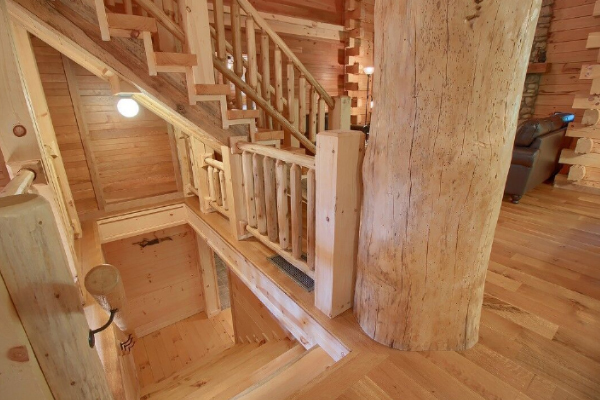 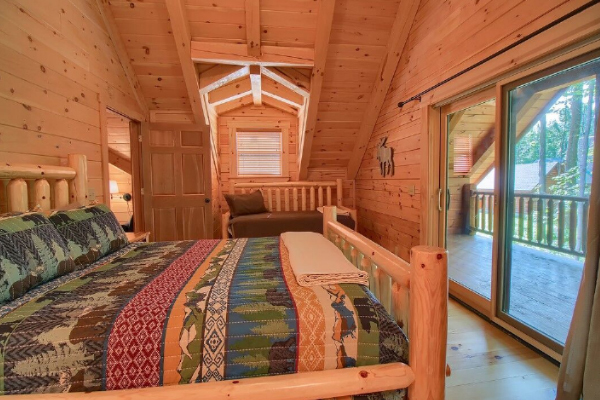 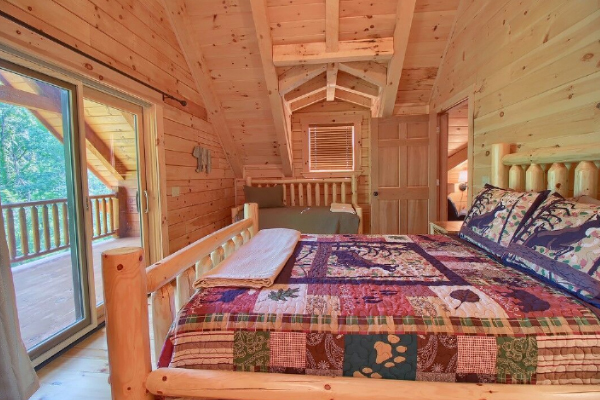 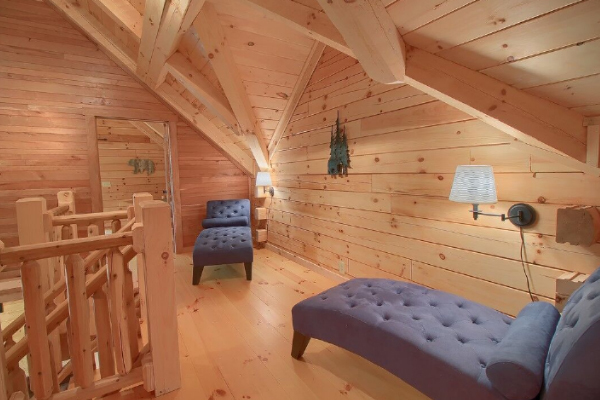 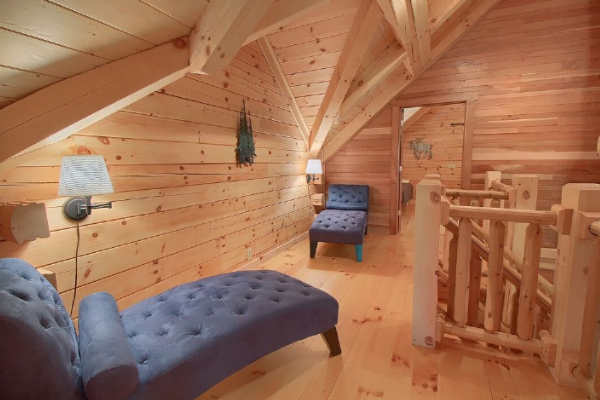 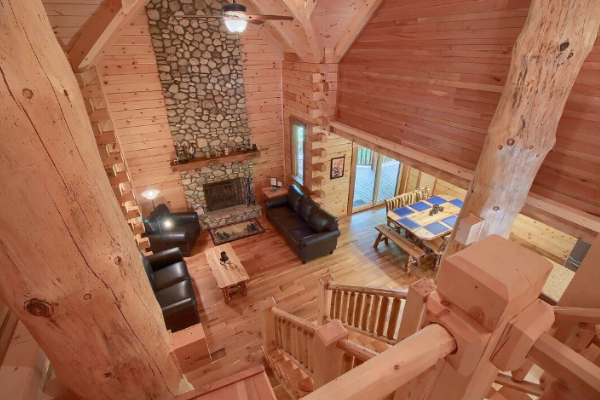 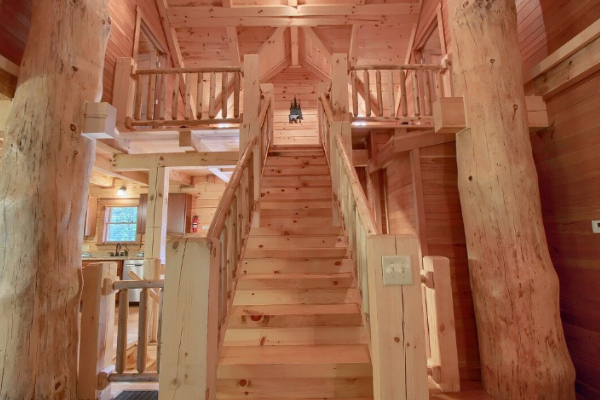 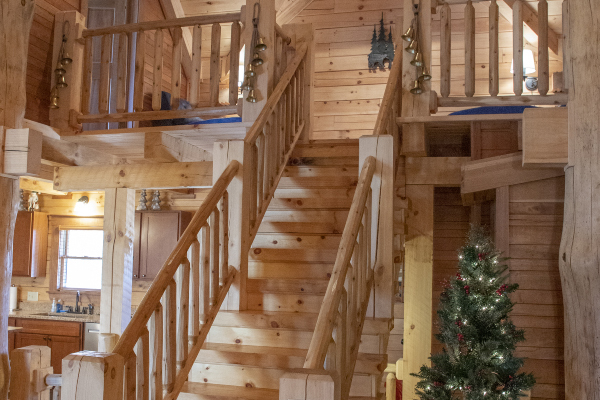 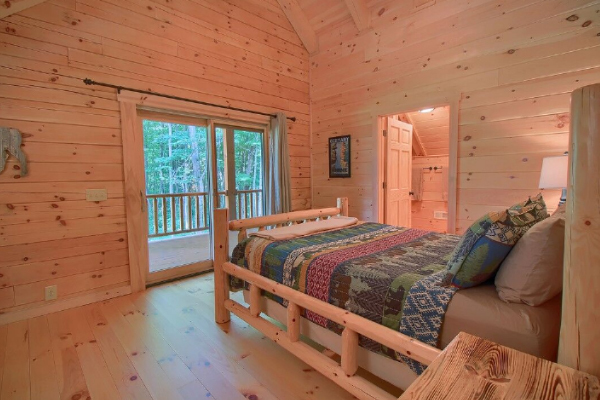 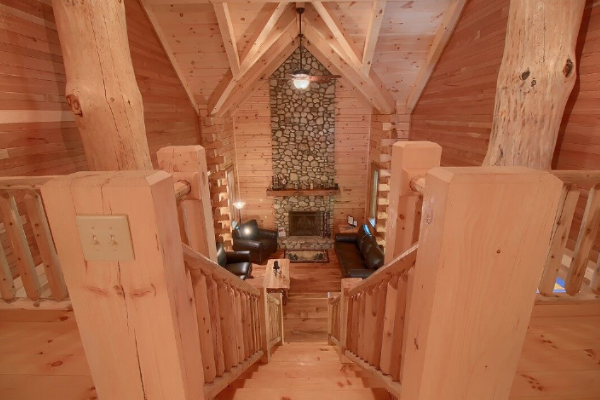 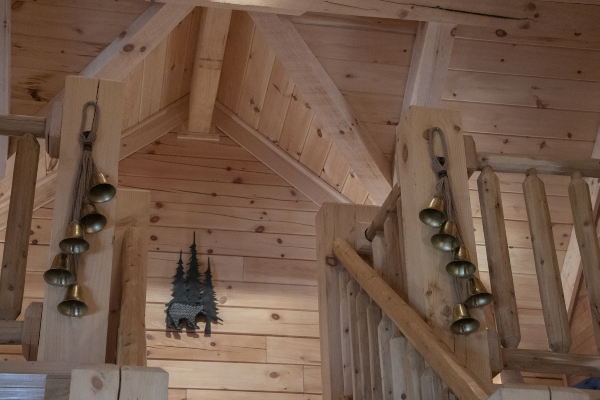 Master suite with King size log bed, 2 private suite bedrooms upstairs with Queen size beds and one twin each. 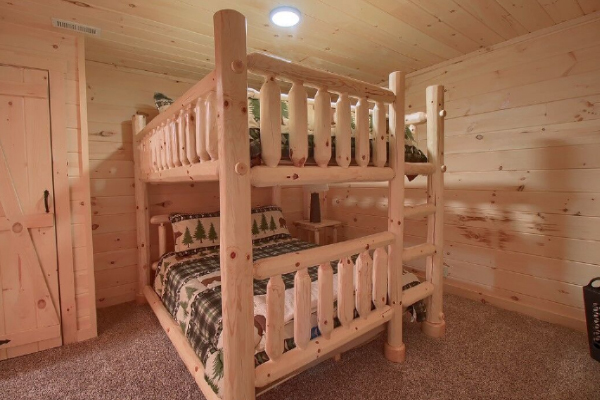 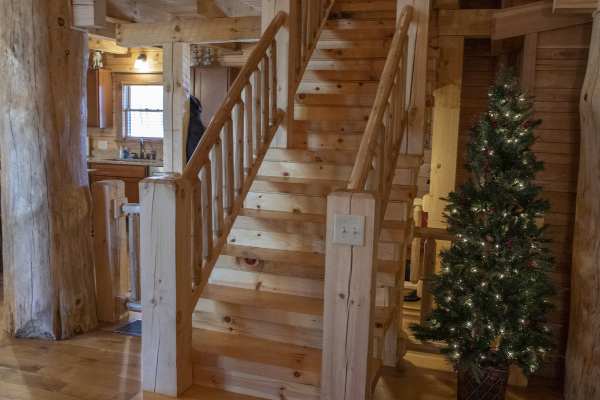 Finished lower level with Queen over Queen bunk bed and private bathroom. 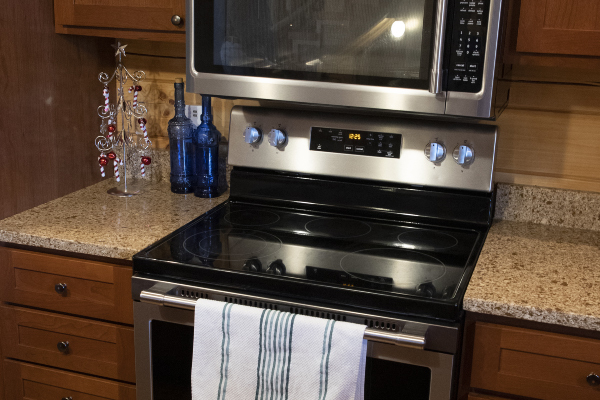 Prepare your meals in the well equipped kitchen with quartz countertops and stainless steel appliances, even an ultra quiet dishwasher! 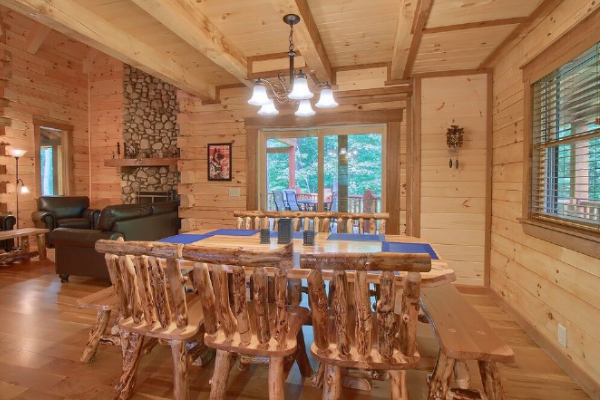 Beautiful log dining table for sharing meals. 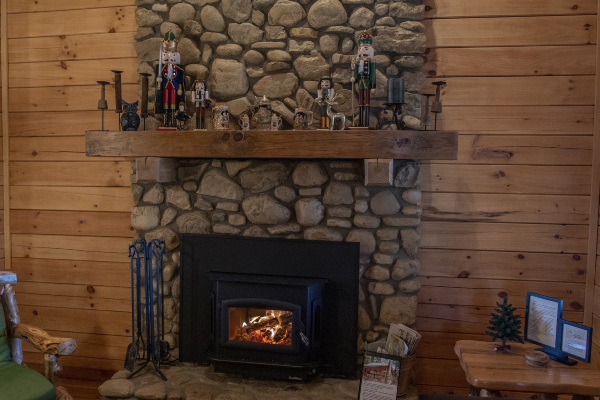 Two stone wood burning fireplaces, one indoor and one outdoor. 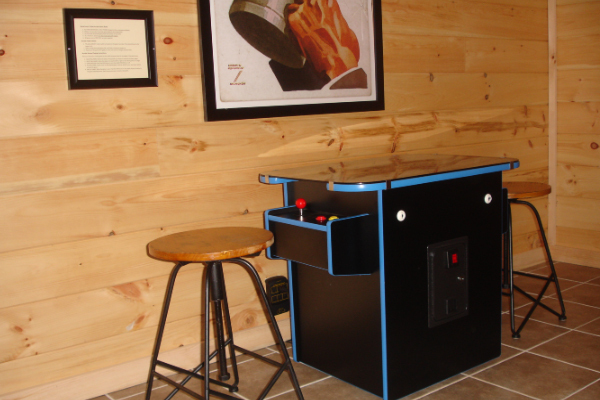 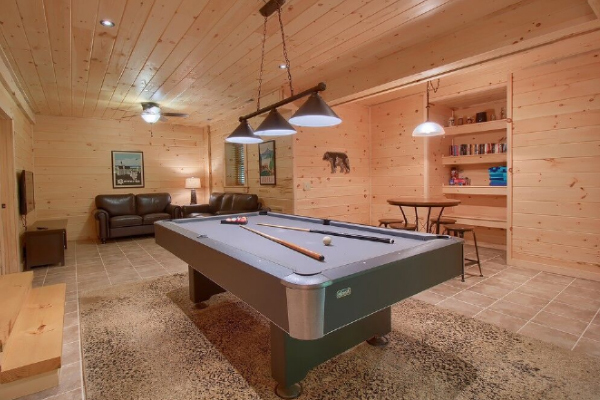 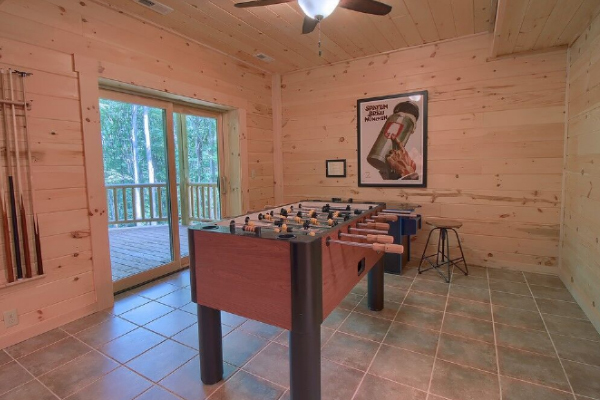 Finished lower level has a pool table, foosball table, and board and card game table, perfect for those rainy days. 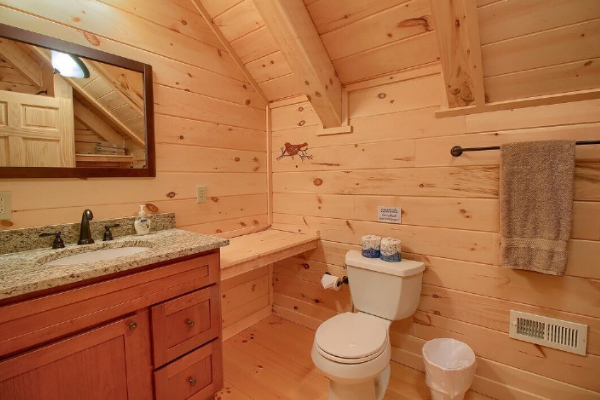 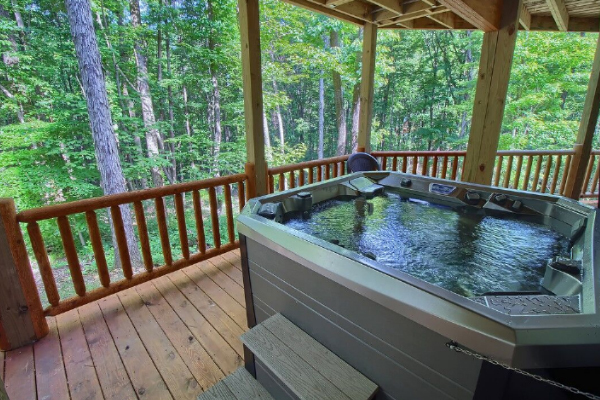 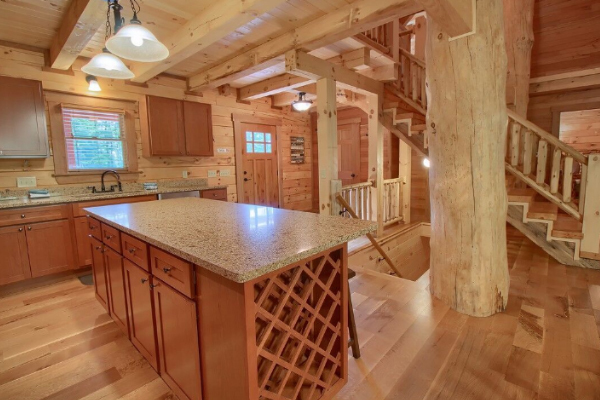 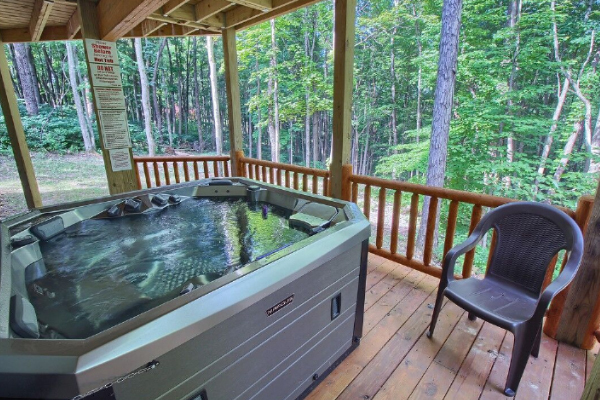 Walk out the finished lower level, to a private hot tub. 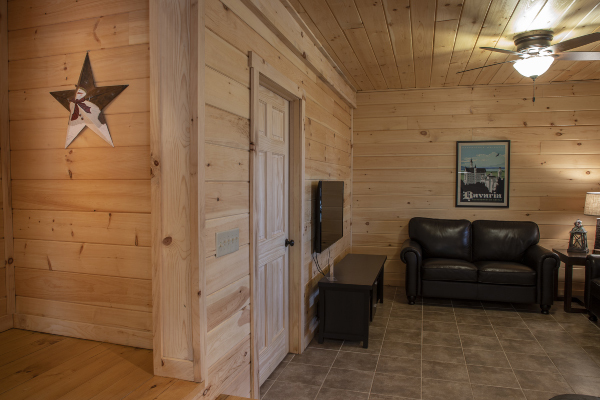 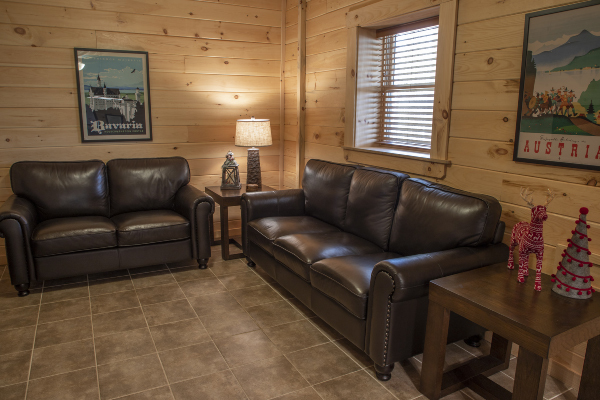 Lodge has satellite TV and a Blu Ray player. 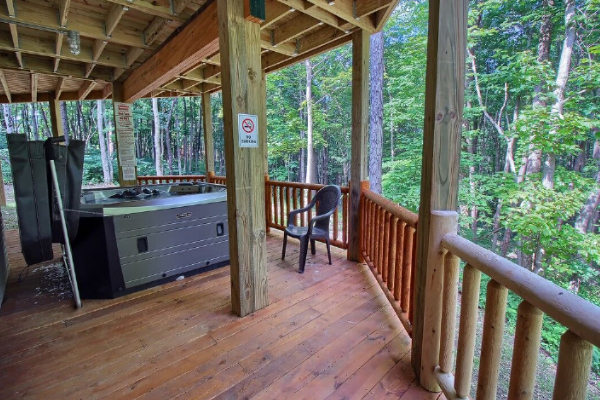 2 premium covered park grills. 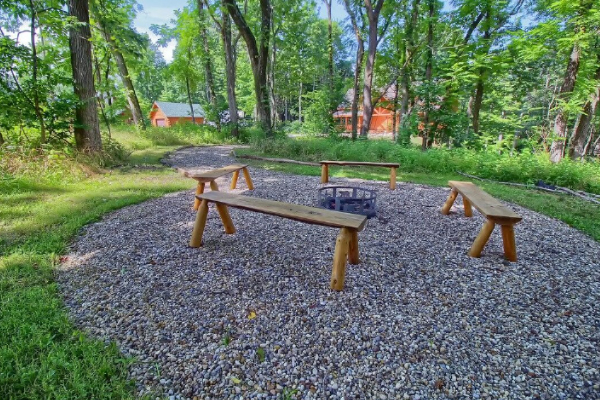 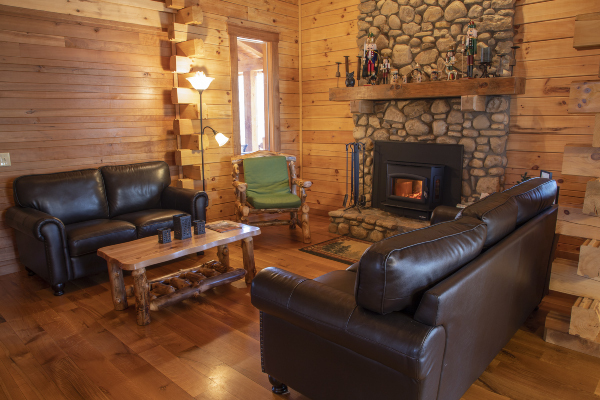 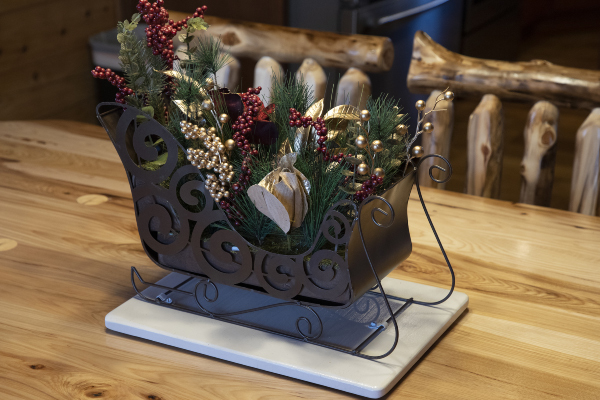 Enjoy sitting around the outdoor fire pit located in the chalet's biergarten. 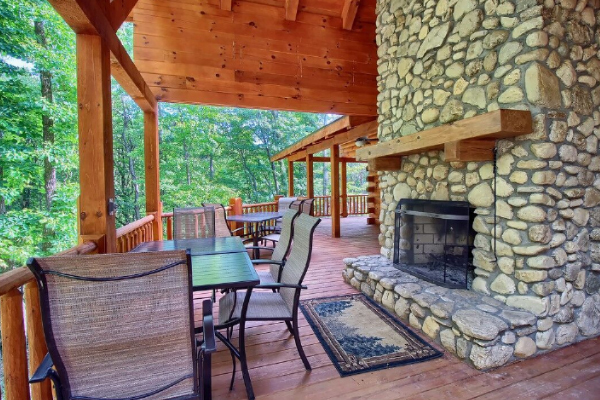 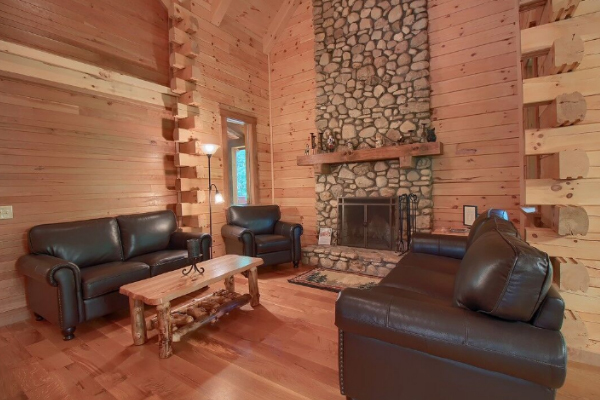 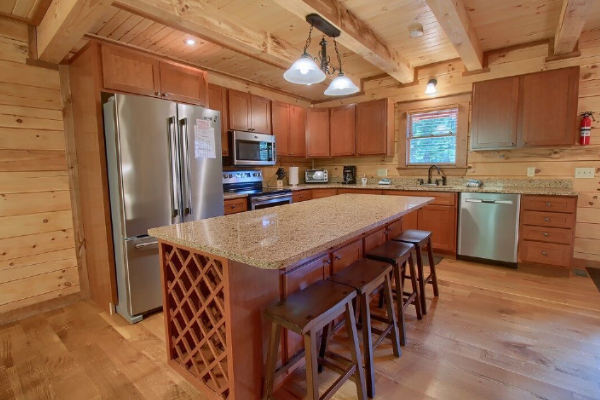 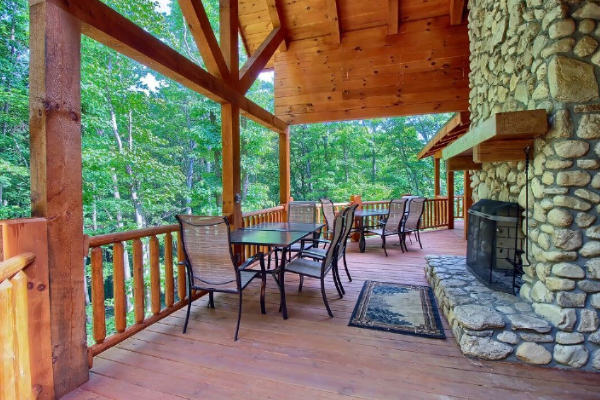 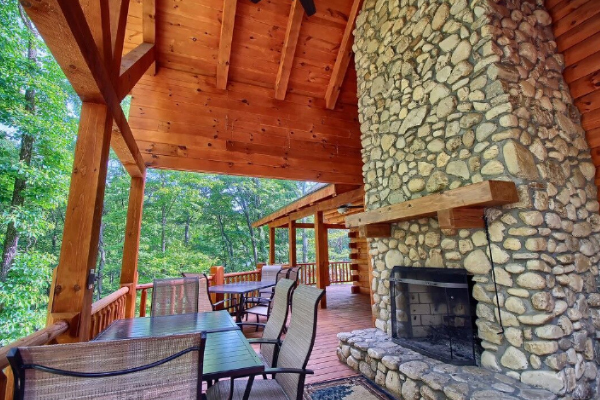 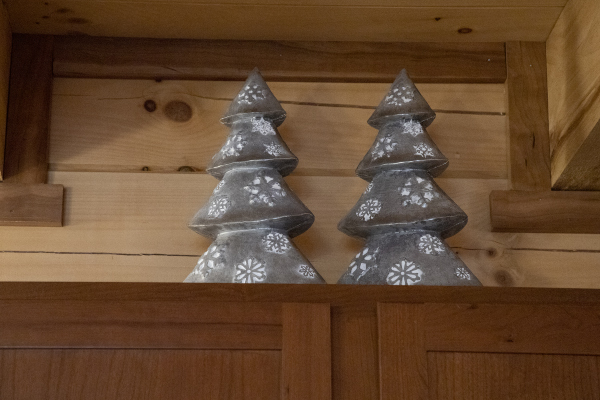 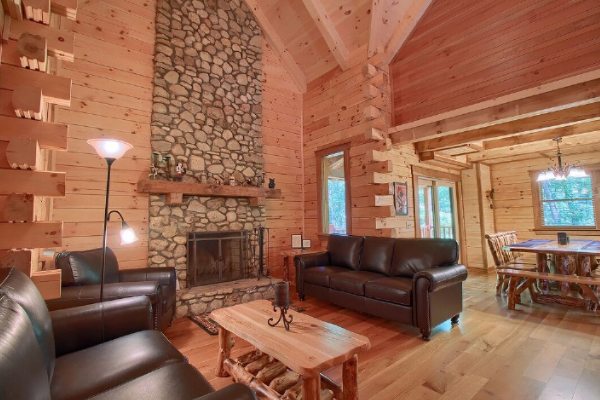 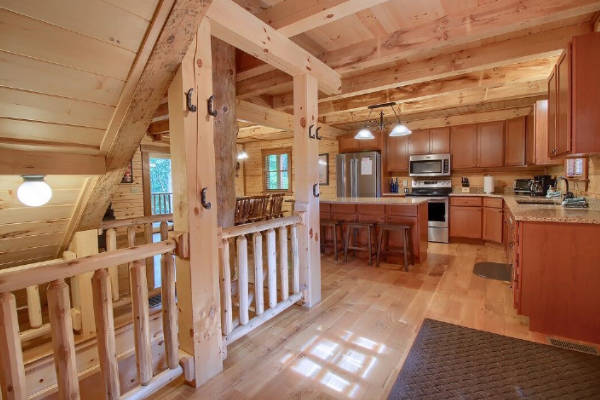 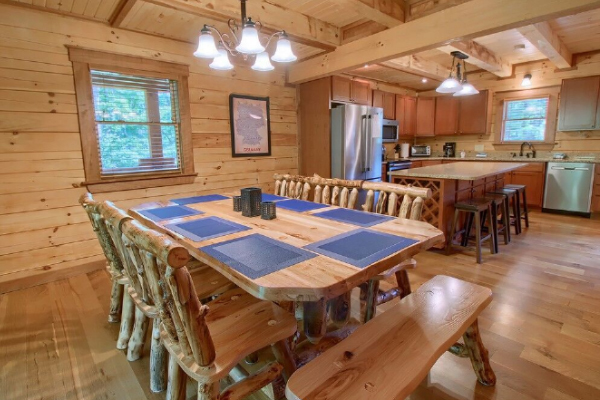 Time to plan your Hocking Hills vacation! 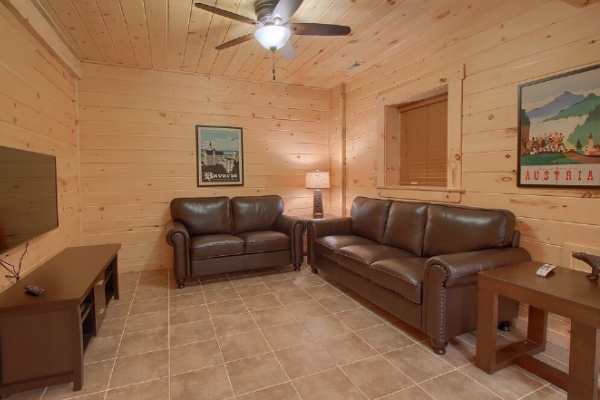 $300 refundable security deposit required. 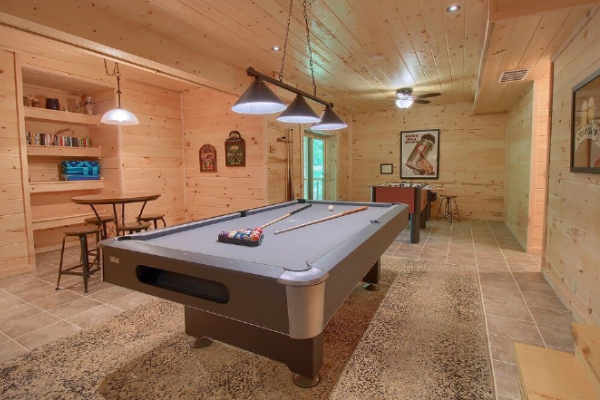 Finished lower level has a pool table, foosball table , video arcade game, board game and card game table, all which are perfect entertainment for those rainy days.